Create a memorable day of comradery and fun! Want something unique and memorable for your next corporate event? Liven up your next work function or team building event with wildlife! 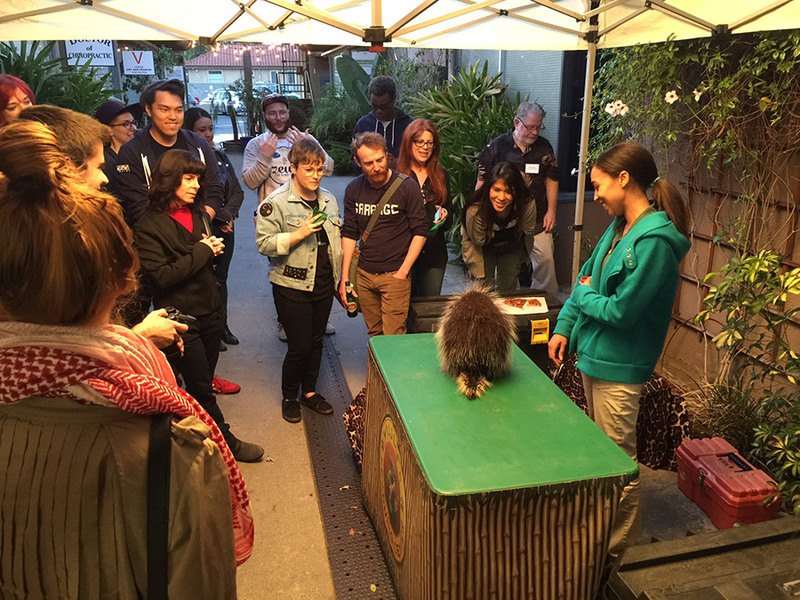 We can provide you with a wildlife presentation or a meet and greet with the animals where you mingle with our knowledgeable, professional biologists and meet and interact with exotic and unusual animals from around the world. Few things can match the excitement and wonder of meeting wildlife up close and personal! You can choose a themed wildlife experience such as our Rainforest Romp, Animals From Around the World, or North American Wildlife. Or we can customize an event for you where you get to choose from a variety of fascinating animals such as a fennec fox, alligator, two-toed sloth, python, porcupine, armadillo, and much, much more!